What a dynamic scene! 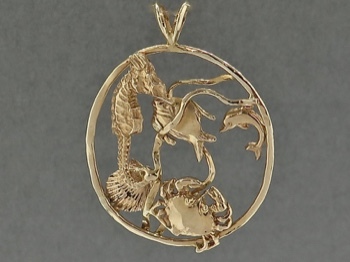 Only someone with as deep a love of the sea as Tom Krall has could create this 14 karat gold sea creatures pendant. 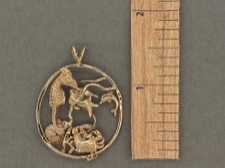 Complete with seahorse, fish, dolphin, crab and seashell. 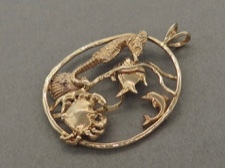 If Tom isn't creating his amazing jewelry, he is kayaking, snorkeling, lionfish spotting, or taking sealife photos. A true aficionado.